From typical closings to complex real estate disputes, D. R. Repass, P.A. does it all. Staffed by a seasoned legal team, our practice offers a variety of services designed to streamline your real estate transactions and make your life easier. For more on our real estate law practice in Ponte Vedra Beach, FL, contact us today! We administer and manage all aspects of your real estate transaction closing, from preparing the contract to disbursing the profits. We'll even work with lenders. Due to the personalized nature of this work, pricing will be discussed at the time of service. When you choose our firm for your real estate closing, you gain access to our many years of experience dealing with property transactions. We use this experience to give you the coverage you need to ensure your purchase goes smoothly. 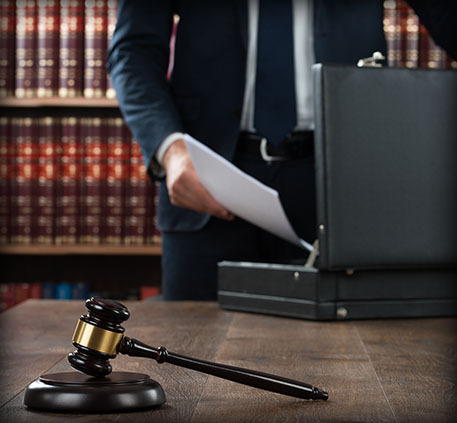 If any issues do arise, we will use our extensive knowledge of real estate law to defend your interests. No matter if you are the buyer or seller, we will give you the complete representation you need. Before you can start a land development project, it is always best to seek the assistance of a lawyer. At our firm, we have experience dealing with the issues that developers commonly face. We will help you negotiate the complex contracts required and will ensure that you have all the proper permits for your new development. Our law office will also ensure that your land is adequately zoned for your project and that there are no liens on the title. Finally, if you are purchasing the land, we will assist with the closing. This ensures that the transaction is handled successfully and that all the required documentation is completed correctly. Contact us when you are performing a real estate transaction and need the assistance of a skilled attorney. We proudly serve our clients in Ponte Vedra Beach, FL, and the surrounding areas.